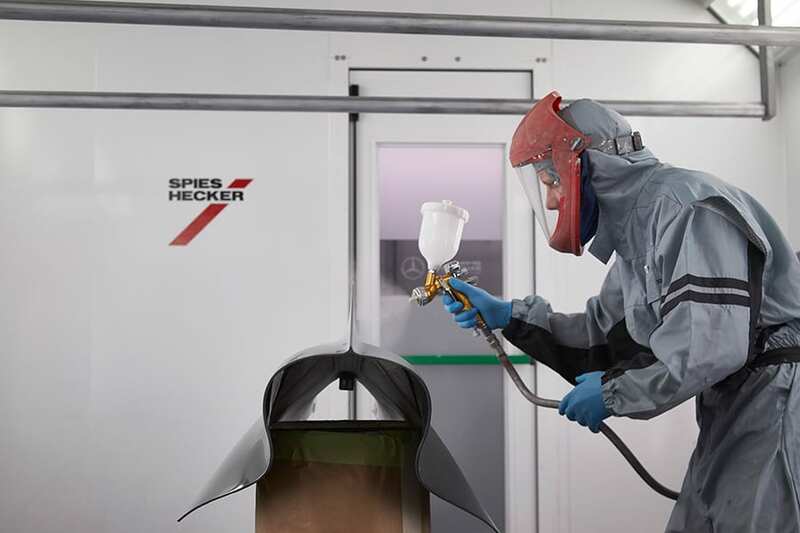 Exceptional repair results at low temperatures is the challenge for refinishers when they carry out paint repairs on electric and hybrid vehicles. 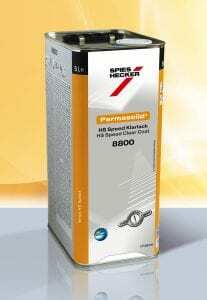 Coordinated product solutions from Spies Hecker provide the answer. The number of registrations of electric and hybrid vehicles is growing steadily across Europe, Middle East and Africa – in fact, they have more than quadrupled since 2010. However, the refinishing of these vehicles presents new challenges. Integrated refinish system solutions can deliver exceptional repair results on the paint of damaged electric and hybrid vehicles, even at low temperatures. “The Spies Hecker Hi-TEC Performance System provides a refinish system that meets many car manufacturers’ specifications. Permahyd Hi-TEC Base Coat 480 and Permasolid HS Speed ​​Clear Coat 8800, both part of the Hi-TEC Performance System, are particularly well-suited for use at the low temperatures required during the repair of paint damage on electric vehicles,” explains Jantjies. In addition, Permasolid HS Speed ​​Clear Coat 8800 provides fast drying at low temperatures: “When Permasolid HS Speed ​​Clear Coat 8800 is used with Permasolid VHS Speed ​​Hardener 3250, it can be sanded after 35 to 50 minutes at 21 degrees,” added Jantjies. The air-drying option also helps save energy compared to forced drying. However, when repairing electric vehicles, the rule of thumb is safety first. Basic procedures must be adhered to, including switch off power, ensure there is no voltage and ensure the power cannot accidently be switched on during the repair. “Only when the refinisher has carried out all these safety checks should the repair commence,” concluded Jantjies.